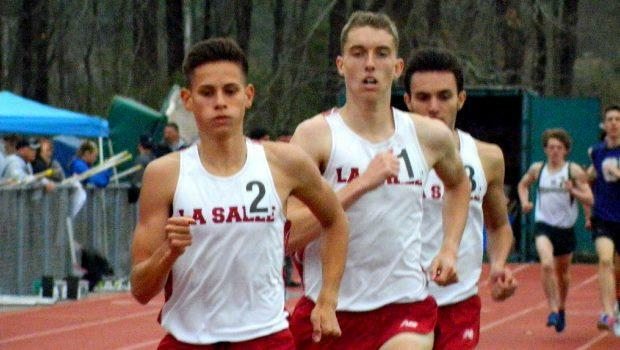 La Salle Academy's talented trio of Jack Salisbury, DJ Principe and Matt Bouthillette finished 1-2-3 in the 1,500-meter run at the Schomp Invitational. Salisbury defend his title with a 3:52 clocking. Principe (second, 3:53) and Bouthillette (third, 3:56) also repeated their placements from 2015. Listen below to what the La Salle teammates had to say about the race and also their second-place finish in the DMR at last week's Penn Relays Carnival.